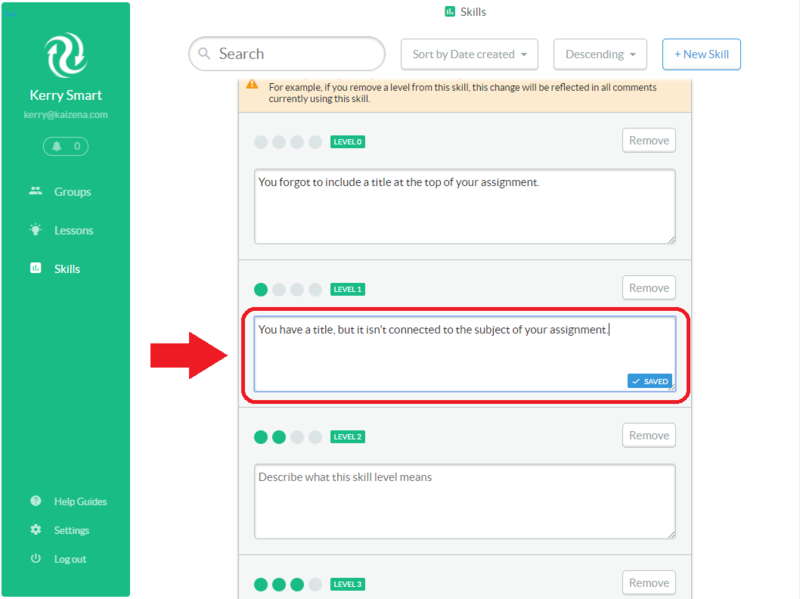 Every day in class your teach your students new skills, but students often don't know how well they are doing with these skills until their final grades. 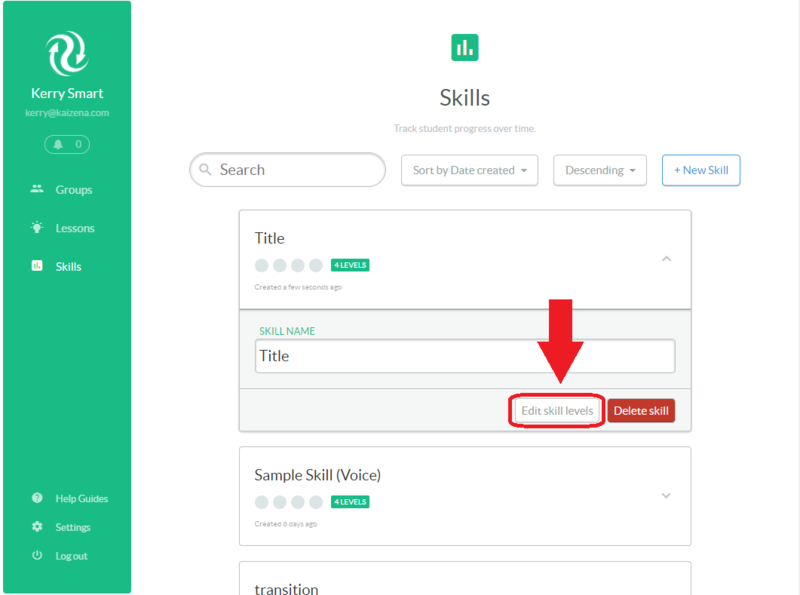 The Skills feature is a way for you to quickly rate your students in specific areas. 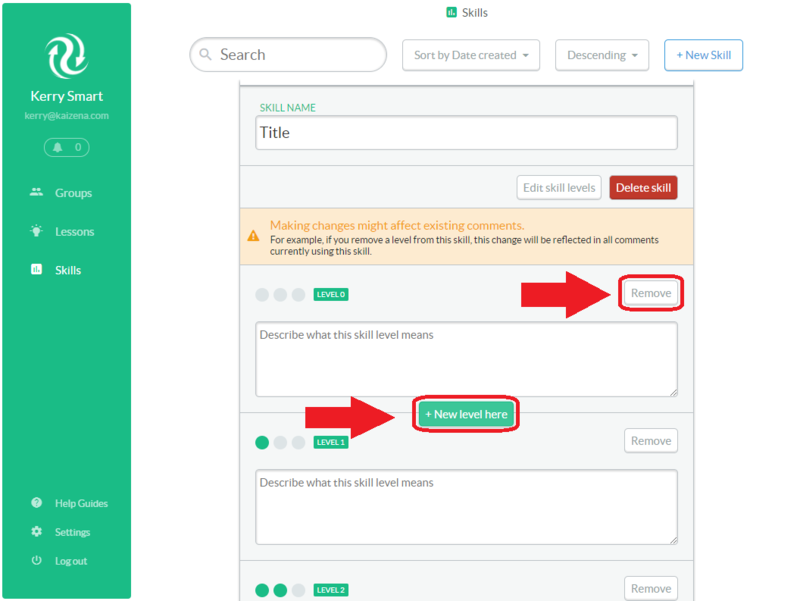 Skills can be rubric criteria, common core standards, your local state, region, or country’s standards, learning objectives or outcomes…anything you want to rate! 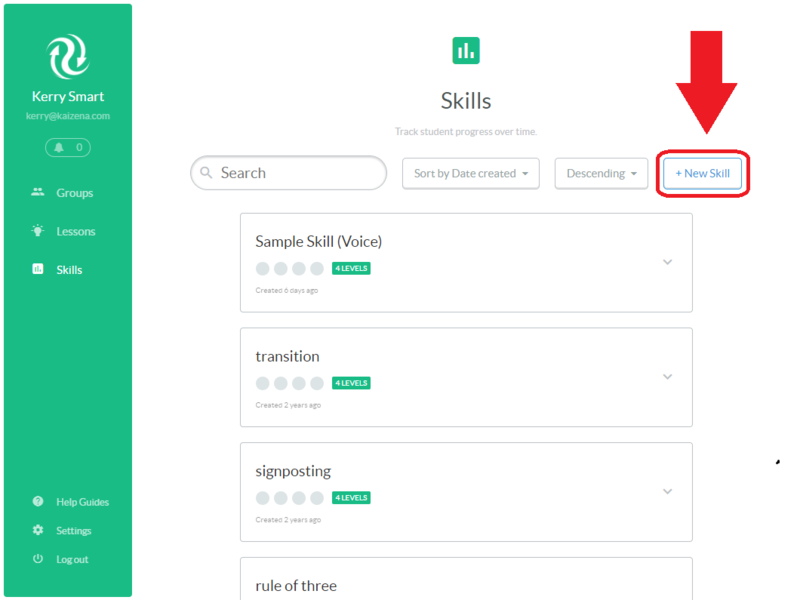 Before you can use a Skill in the Google Docs add-on, you'll need to create a Skill on your Skills page. 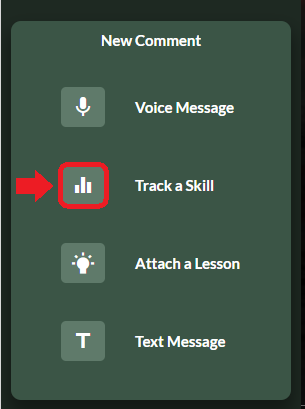 This will take you to your Skills page. You'll see a sample Skill (and any other Skills you've created). 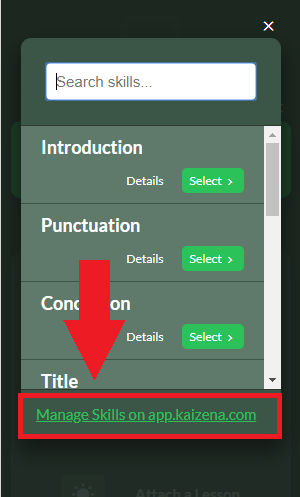 Once you've added your descriptions, you're all done! 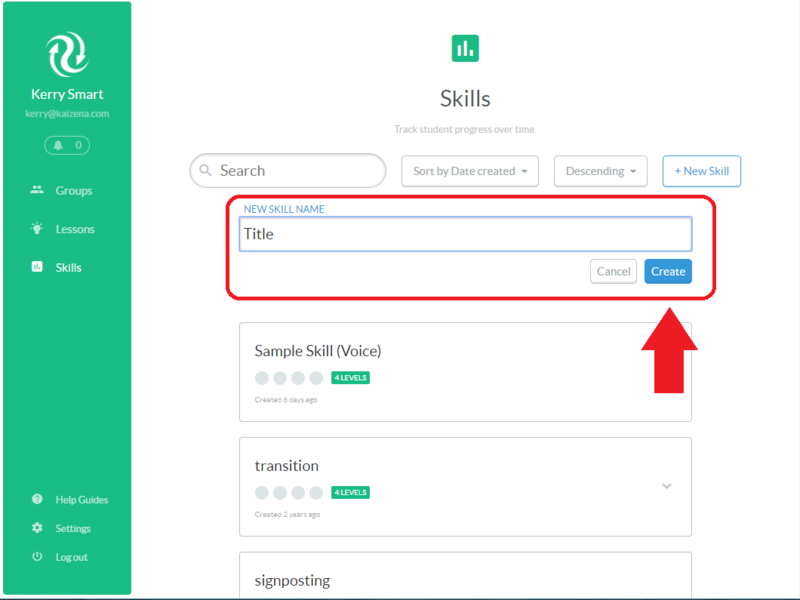 See how to use your Skills in Google Docs.